Composite Door Restrictor Made in the UK - DGS Group Plc. Low profile stay for composite or timber door applications with integral damping. Fits standard Eurogroove on a composite door with 4mm gap. 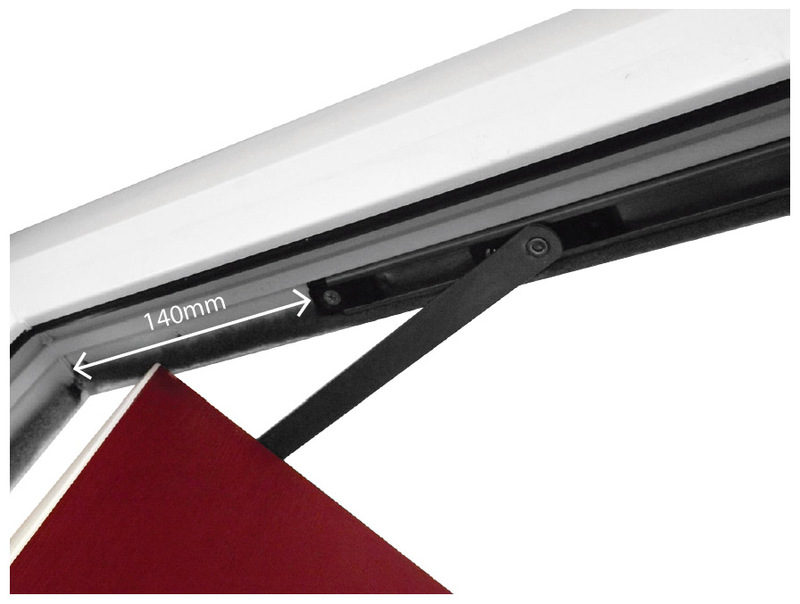 Suitable for PVCu, aluminium and timber profiles. The track should be fitted to the frame 140mm from the corner. 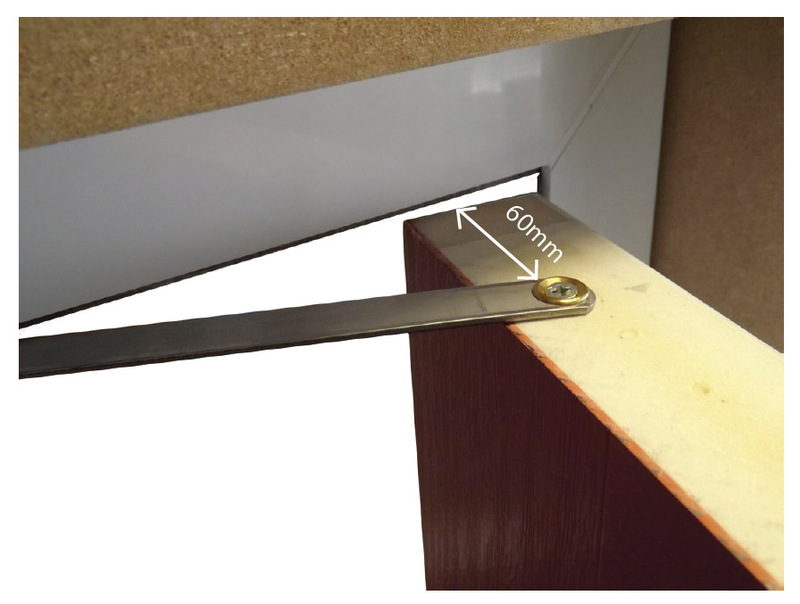 The arm should be positioned on the top of the door at 60mm from the hinge edge of the door.